You can view your plugin’s information by going to the ‘Developer’ tab and clicking on the plugin name in the list. If you wish to publish your plugin, tick the ‘Make my plugin public’ option. Each new plugin first goes through a review process before its publicly available. We try to make sure that no malicious code is released. The review process is not instantaneous, and you can contact us to get updates on the progress. If your plugin is not accepted as it is, we will inform you on what you must modify on your plugin before its released. Make sure your plugin has the status_plugin_xxx variable set within its code, and on the dashboard, as well as the description for the setting. This variable is used by AWARE to turn your plugin ON or OFF on the user’s device. Without this variable you cannot activate your plugin. 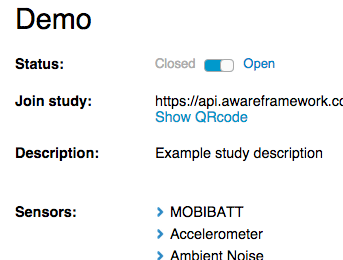 Alternatively, if you wish to use your plugin on a study you’re running but don’t want to publish it publicly, you can insert your study’s API key by clicking the ‘Add this plugin to a study’ button. This adds your plugin to the list of allowed plugins for your study and you will be able to see it available in the study information page. Please note above the requirement for the status -variable and the description for your plugin. 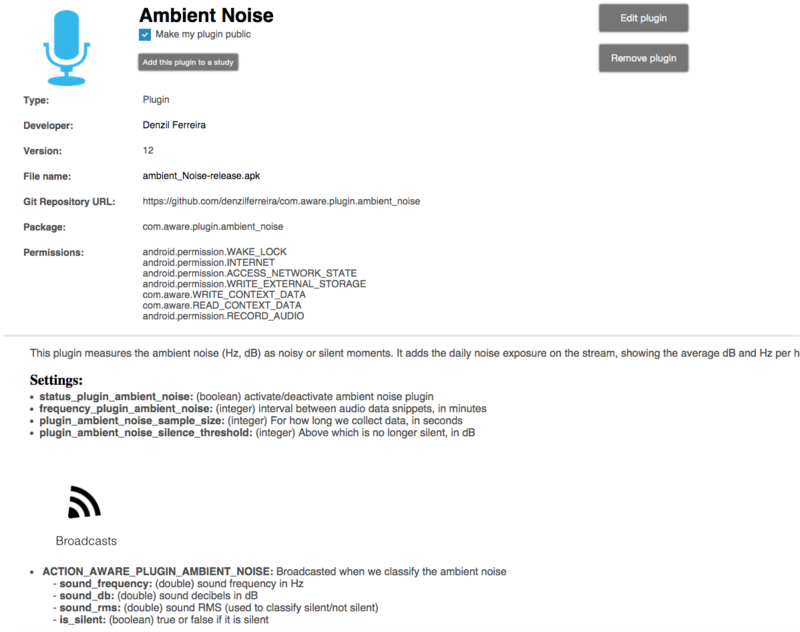 Otherwise your plugin will not appear in the sensor listing.